Singapore Transport | Let's Go for a Trip! Many parts of Singapore are accessible by road, including Sentosa island. The main form of public transport within Singapore is via bus and rail (MRT trains). The MRT trains in Singapore are operated by 2 companies. 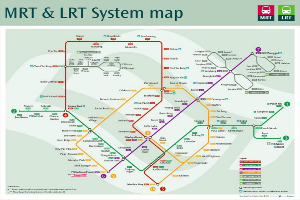 The main operator is SMRT, while SBS Transit operates the North-East line. The Stored value ticket can be used on both companies’ trains and buses. Tip : If you are on a budget, check out the above website for the difference in fare between a standard ticket and a stored value card for the places you want to go. If the savings add up to more than $5 (the non-refundable card fee), then it is better to get a stored value card. You can save time queuing to buy a standard ticket. All commuters are charged a fare according to the total distance travelled on the bus, MRT and LRT. The Standard Ticket is a contactless smart card for both single and return trips on the MRT and LRT. It can be used up to six times within 30 days from the date of purchase. The card is sold at the General Ticketing Machine (GTM) at all MRT and LRT stations. The purchase price includes a deposit of 10 cents and this is automatically refunded on the travel fare of the third trip. A user also enjoys a 10-cent discount on the sixth trip. 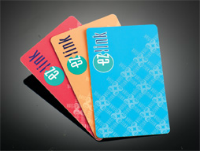 The adult stored value card (Ez-Link card) is a contactless stored value smartcard, which can be used on buses, the MRT and LRT. This card can be purchased from TransitLink Ticket Office or Passenger Service Cente located at MRT stations and bus interchanges. You can also purchase an ez-link cards at 7-Eleven stores including those located at Shell petrol kiosks. Singapore also has many links to the rest of the world. There are 2 bridges which link Singapore to Malyasia – the Causeway at Woodlands and the Second Link at Tuas. The Singapore Changi Airport is a major aviation hub for many airlines.